This includes the period of great wickedness just prior to the coming of Christ. We read of the missions of Nephi and Lehi, followed by Samuel the Lamanite. The signs of Christ’s birth and death are given, followed by their fulfillment. Great destruction occurs on the American continent, and only the righteous survive in the Land of Bountiful. Christ appears to the Nephites, teaches and heals them, organizes His Church and ordains 12 disciples to lead them. Want a discount? Become a member by purchasing Premium Membership Subscription, or log in if you are a member. This volume is the third of three on the Book of Mormon. It covers the Book of Helaman through the Book of Moroni. This includes the period of great wickedness just prior to the coming of Christ. We read of the missions of Nephi and Lehi, followed by Samuel the Lamanite. The signs of Christ’s birth and death are given, followed by their fulfillment. Great destruction occurs on the American continent, and only the righteous survive in the Land of Bountiful. Christ appears to the Nephites, teaches and heals them, organizes His Church and ordains 12 disciples to lead them. After His departure, a Zion people live in peace for many years, then decline again into great wickedness. We read of the final days of the Nephites in the writings of Mormon and Moroni. We also read about the Jaredites, who were the first to inherit the land, long before Lehi’s family arrived. In all, it covers 2,000 years of Jaredite history, and 469 years of Nephite history from 52 BC to 421 AD when the book of Moroni closes. The cover features a beautiful painting titled “Behold Your Little Ones,” by Del Parson. I’ll get your books soon. Is EBook or Kindle better? Any opinion of where Book Of Mormon occurred? Maybe Central USA rather than Central America? See http://www.bookofmormonevidence.org I am fascinated than Smithsonian purposely eliminated the advanced cultures in the Ohio-Georgia area, plus mounds still covered. Of course the is NO official comment where it took place. It begins with the story of the conversion of Alma the Younger. We learn of the beginning of the reign of the judges. Then we follow the missionary efforts of Alma and Amulek in the land of Zarahemla, followed by the missions of the sons of Mosiah to the Lamanites in the Land of Nephi. We follow the fate of the Anti-Nephi-Lehies. We read Alma’s letters to his sons, including an in-depth discussion of the Great Plan of Happiness. 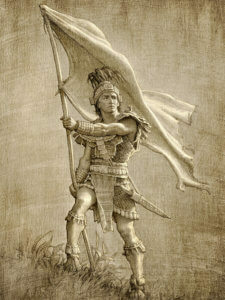 Then we finish with the stories of Captain Moroni and Helaman’s stripling warriors. In all, it covers 67 years of Nephite history from 130 to 63 BC when the book of Helaman began. This includes the journey of Lehi and his family across the Arabian Peninsula to Bountiful. It follows them on to the promised land, where the Nephites and Lamanites separated. 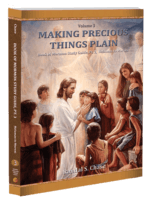 It contains the marvelous prophesies of Lehi, Nephi, and Jacob. 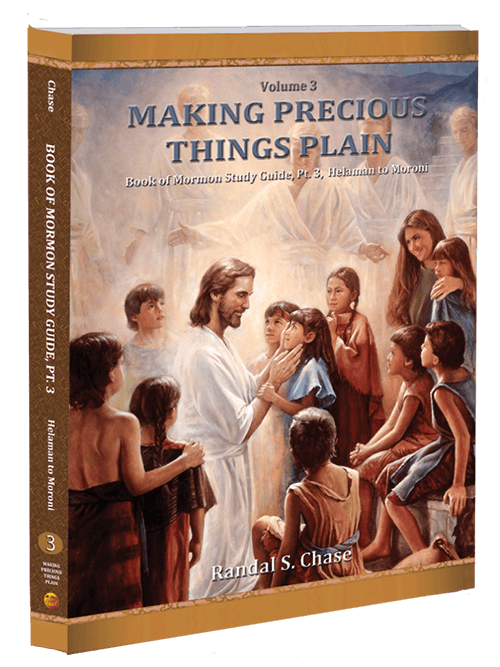 An essential new study guide for the challenging words of the man who Nephi called “the Prophet,” and whose teachings the Savior commanded us to read. A companion to the study of Isaiah in the Old Testament and in the Book of Mormon, this volume is without question, the most helpful guide to Isaiah available today. This volume is the third of three on Church History and the Doctrine and Covenants. It covers Church history during the administration of all of its Prophet-Prophets since Joseph Smith. It begins with the succession of the Apostles after Joseph Smith’s martyrdom, the building of the Nauvoo Temple, and the trek to the west of the Latter-day Saint pioneers. It covers Church history and the revelations in the Doctrine and Covenants from the birth of Joseph Smith in 1805 through the beginnings of the Kirtland and Missouri periods. We learn concerning the First Vision, the coming forth of the Book of Mormon, the restoration of the priesthood, and many early revelations given to individual members of the Church. Apocalypse: The Great Day of the Lord for the Righteous is a positive look at the positive events of the Apocalypse. This book on the Apocalypse focuses on the great blessings that the righteous will receive when the Lord comes. For the wicked, it will indeed be a dreadful day, and they will call upon the mountains and rocks to hide them when the full fury of the Lord’s anger is poured out upon them (see Revelation 6:16). For the righteous, it will be a day of unimaginable joy—a day of resurrection, of peace, of safety, and of living under the rule of our Eternal King, the Lord Jesus Christ.